Jen Gibbs - Hi, I'm Jen GibbsMy first book (and I have a few up my sleeve!) was SHE: A Journey of Faith, Hope and Love with Women of the Bible. 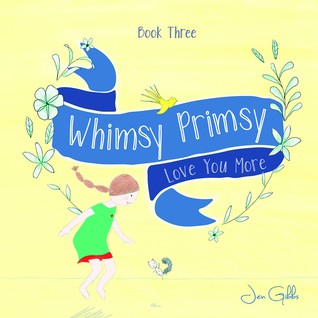 It's a book that reveals God's heart for women.My second, third and fourth books were picture books grouped as The Whimsy Primsy Collection:Whimsy Primsy Runs Her RaceWhimsy Primsy: Sad To GladWhimsy Primsy: Love You MoreCheck me out here: jengibbsI live by a beach in Auckland, New Zealand with my husband and three young children. It is pretty much as idyllic as it sounds - I see the sea winking at me from my desk. And it's also as chaotic as it sounds - today involved mopping up whole jars of coconut oil and baking powder while the toddler responsible hightailed it out the window! Oh and I LOVE books I hope you love mine!